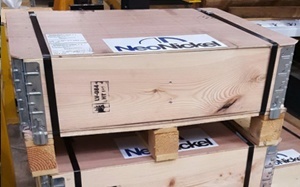 At NeoNickel, we spare no expense in ensuring that your order reaches you in the same condition it left us. We use different packaging materials and techniques, depending on what you’ve ordered. 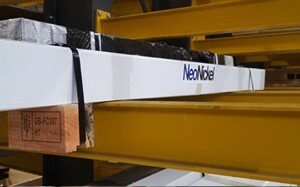 For bar and pipe from 4500mm to 7000mm long, weighing no more than 150kgs. Sizes from 50mm to 203mm diameter. Each end is fitted with a plastic end cap and 25mm wide mono tape – used to keep the end cap in place. Used for bar, pipe, plate and sheet. 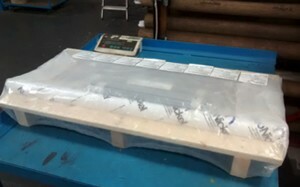 Shrink wrap is 200micron thick. An LPG heat shrink gun is used to melt the plastic, which then forms tightly around the pallet and material. 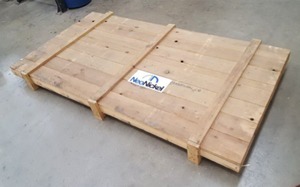 Standard sizes are as follows 500mm x 300mm, 500mm x 500mm, 1000mm x 500mm and 1000mm x 1000mm. Used for sheet and plate. 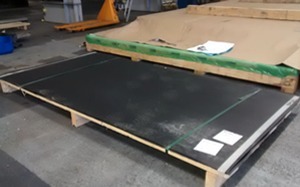 Sheet is covered with black corrugated plastic and then plastic or steel banded with cardboard edge protection for exports. Standard sizes are as follows 2000mm x 1000mm, 3000mm x 1000mm, 3000mm x 1250mm, 3000mm x 1500mm, 3700mm x 1250mm. Size is 2150mm x 1150mm x 100mm. Provides complete protection for all flat products. All double wall for excellent support. Used for bar, plate, sheet, pipe and fittings. Boxes are then taped together using mono tape. For large orders of bar, pipe or cut/machined pieces. They are either nailed/screwed or banded shut. Banded leaves no exposed material and provides good protection during transport. 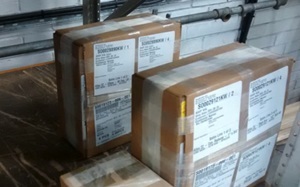 These sacks are very strong and are used when packaging very small orders. They are wrapped around the metal and then covered with mono tape to ensure the sacks do not rip in transit. 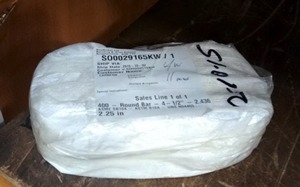 Used for all sizes of bars. 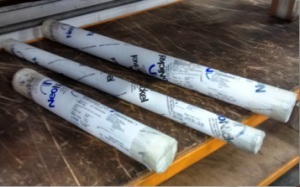 Sizes are 50.8mm, 101.6mm, 152.4mm, 203.2mm and 254mm x 5000mm in length. Packed with timber feet of all the above sizes.